Cashflow can become a major problem with your property investment. For beginners, slow cashflow could prevent you from building your portfolio as quickly as you’d like. Happily, there are some tricks you can use to make improvements to your investment property cashflow. So, you’ve got what you think is a great investment property. You’ve followed all the property investment basics, but your cashflow is tighter than you expected. At times, it can be a real struggle to pull together the money to pay for the property’s expenses. This is a common problem, no matter how well you’ve followed investment property tips. Beginners, in particular, tend to struggle with getting their cashflow up to the level they’d hoped for. All is not lost. There are a few tips you can follow to improve your investment property cashflow. It may seem like a simple tip, but it’s one that many beginners don’t think about when they’re dealing with cashflow issues. Raising the rent on your property can offer a short-term solution while you look at the bigger problems. Of course, you can’t do this every time you face a cashflow issue. Constant rent increases will drive your tenants away. However, it becomes an option if you haven’t re-examined your rents for some time. In such cases, you may be charging less than other investors in the area. You must also remember your tenancy agreement, along with the laws of your state. Either may prevent you from raising your rents. That’s why many investors wait until the end of a tenant’s lease period before increasing the rent. With some luck, you can secure the tenant on a longer fixed lease at the new rate. Do you still have the same home loan you applied for when you bought your investment property? Australia has dozens of lenders who offer hundreds of mortgage products between them. Take advantage of that fact to secure a better home loan. Work with a mortgage broker to find out what other products are out there. You may find that switching your loan gives you access to lower interest rates and some useful new features. Alternatively, you could use the information you find as leverage against your current lender. Most lenders want to keep reliable clients. If you’ve made on-time repayments, you may find that your existing lender offers a better deal when you threaten to leave. Those are some long-term options. You could also switch your home loan to interest-only periods for a short while. This will help you to deal with more immediate cashflow concerns. The property investment basics don’t always cover the other income streams your property may have to offer. Take some time to think about how you could use your property to generate more than the rental income. For example, you could lease the side of the building as advertising space if your property is near a busy road. Alternatively, you could lease out any unused parking spaces. Each offers a little extra income beyond your property’s rental income. Remember, that every little bit can help when you have cashflow problems. 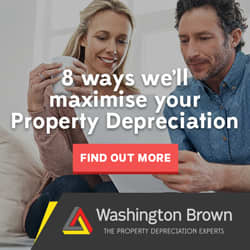 Reducing costs is a crucial part of property investment. For beginners, this means taking a detailed look at your figures. You may find that you’re paying too much for your insurance. Or, you could negotiate a better deal with your property managers. Many who encounter cashflow issues find that they’re paying too much for various services. You may also be paying for things you don’t need. For example, you could handle some basic maintenance issues yourself, rather than hiring somebody to do it for you. Again, this frees up small amounts of cash. Nevertheless, you’ll improve your cashflow with each positive change to your outgoings. It’s amazing to think about how many new investors don’t think about rental property depreciation rates. They don’t investigate the claims they could make on their assets. Instead, they keep plugging away without a depreciation report. Alternatively, they assume their accountants have factored depreciation into their tax returns. You need a depreciation schedule. If you don’t have one, you’re cheating yourself out of thousands of dollars. Hire a quality Quantity Surveyor to draft a full depreciation schedule. Your surveyor will ensure you claim the maximum amount over the lifetime of each asset. Furthermore, you’ll learn more about tax compliance in your state. You’ll make both short and long-term improvements to your cashflow if you follow these tips. You can handle the first four with the help of an accountant and mortgage broker. However, you need additional help to create a depreciation schedule. Washington Brown has the answer. Speak to one of our Quantity Surveyors today to get a quote.